CPAs and accountants are affectionately called bean counters. They work hard all year long. When tax season begins, their life is not their own, as they work countless overtime hours. During tax season, there is an endless stream of financial documents and tax forms to be collected and prepared, to meet the April 15 tax filing deadline. When the day after tax season arrives, your beloved and exhausted green visor number cruncher is more than a little bit tired, and frankly needs a break from the numbers business. In recognition and appreciation of your green visored bean counter, today is National Bean Counter Day. Did You Know? April 15th is the normal deadline to file your taxes. But, if the 15th falls on a Saturday or Sunday, the filing date is extended to the following Monday. Today is a day for no liabilities and only enjoyable assets. It is a day of rest, relaxation and celebration. 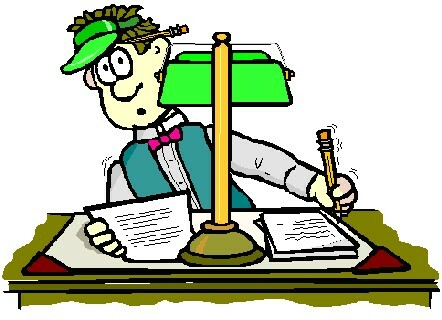 All too soon, the 17th will arrive, and your faithful bean counter will be once again hard at work, doing the daily and monthly accounting tasks, filing amended returns, and quarterly flilings. You see, your accounting staff works hard for you every day of the year. Give your bean counter a little TLC. Let him or her have a vacation day, and enjoy the day off. Let your follow-up calls and questions wait until tomorrow. If you are a bean counter, take the day off. Kick back and relax. Treat yourself and your family to a nice dinner out. Or, celebrate this day in any way you prefer, as it is your day. And, rest assured no one will audit your activities today. & People normally think of bean counters as CPAs and accountants. Other number crunchers, who are often considered bean counters include anyone who is in a financial forecasting, planning, or services environment, where a big part of their job includes crunching numbers. This special day is their day, too. TThis special holiday was created by Kevin Werig, a CPA from Trumbull, CT.Werig created this event, to recognize the hard work of CPAs and accountants, and to assure there is a day off work for accountants, immediately after the tax deadline has past.